The Qigong Institute is a 501(c)(3) non-profit organization. Creating and maintaining of Qigong Institute podcasts. Why and when did you found the QI? THE FOUNDING OF THE QIGONG INSTITUTE WAS A NATURAL OUTGROWTH OF MY INTEREST IN PROMOTING QIGONG. THE QIGONG INSTITUTE STARTED IN 1984, JUST AFTER I RETIRED FROM SRI [STANFORD RESEARCH INSTITUTE]. Why did you decide to dedicate the whole of your retirement to Qigong? I FOUND THE SCIENTIFIC ASPECTS OF QIGONG AS STIMUTLATING A CAREER AS MY FIRST AS A CHEMIST. Didn't you start out as a skeptic? Basically you felt that the claims for the benefits of Qigong had to be proven? WHEN I FIRST LEARNED ABOUT QIGONG FROM DR. EFFIE CHOW I COULD HARDLY BELIEVE SOME OF ITS CLAIMS FOR THE HEALTH AND MEDICAL BENEFITS. TO SATISFY MY CURIOUSITY, I CONDUCTED SOME EXPERIMENTS ON HOW QIGONG AFFECTS THE BODY. I PRESENTED THESE RESULTS AT SEVERAL INTERNATIONAL CONFERENCES, INCLUDING BEIJING, SHANGHAI, TOKYO AND SAN FRANCISCO. As a scientist and skeptic how did you come to appreciate and value Qigong? How did your thinking evolve? FOR ME, THE SCIENTIFIC STUDIES OF MANY PEOPLE FROM OVER THE WORLD, ESPECIALLY FROM CHINA, HAS HELPED TO CONVINCE ME OF THE VALUE OF QIGONG FOR IMPROVING HEALTH AND HEALING. Why did you create the Qigong Database? THE QIGONG DATABASE ORGINATED AS A MEANS TO CATALOG THE VAST AMOUNT OF INFORMATION I HAD GLEANED FROM INTERNATIONAL CONFERENCES...THE DATABASE ORGINALLY CONTAINED ABOUT 1500 ABSTRACTS IN ENGLISH. What is the impression of a scientist on Qigong. I BELIEVE THAT SCIENCIFIC STUDIES HAVE VALIDATED THE MEDICAL BENEFTIS OF QIGONG. THE MOST IMPORTANT ASPECT OF QIGONG IS SELF-PRACTICE. To renew a membership or become a member, follow the directions on the Application for a Qigong Institute Teacher Directory Entry and/or Membership page. As we continue working to help build the Qigong community and provide an educational resource for the public, we recognize our responsibility to grow and change with the needs of our supporters and users. This will manifest in both the evolving "look" of our website, as well as our continued commitment to provide sound scientific data to inspire you to continue your Qigong study. We rely on your support through membership and donations. Funds collected go directly to operations. All Officers and Directors are volunteers and there is no paid staff, so we thank you for traversing our site and sharing in our enthusiasm to build a healthier world for all. In 1984, Dr. Sancier retired from SRI International where he had worked as a senior scientist for more than 30 years. His career as a chemist resulted in seventy publications and about ten patents. When he retired from SRI he cast about for about a year to find an endeavor to replace the intellectual stimulation of research at SRI. He settled on Qigong because he thought that the many claims for its power for healing and the improving health needed scientific testing. He felt that his scientific training would provide the necessary ingredient to help resolve some uncertainties. The Qigong Institute was initially developed under the umbrella of the East West Academy of Healing Arts. Dr. Effie Chow was very instrumental in providing the first home, support, and funding for the Qigong Institute. In 1987, Dr. Sancier started the Qigong Institute as a separate organization. It was incorporated in 1997 as a 501(c)(3) non-profit organization independent of the East West Academy of Healing Arts. In 1999 Dr. Sancier worked with Dr. Effie Chow to organize the Third International Congress of Qigong that was held in San Francisco. Dr. Sancier ran some experiments to demonstrate the effects of qigong on the body. He published a total of twenty-eight papers as a result of his interest and experiments in Qigong. He searched the literature and found that almost all scientific research had been conducted in China. To become familiarized with the research in China, he presented his research at several international conferences in Beijing, Shanghai, Tokyo and San Francisco. He developed the original Qigong Database™ to collect this vast amount of information. The Database's scope was expanded to include Energy Medicine and was renamed the Qigong and Energy Medicine Database™ . During its development and early years, the Qigong Institute sponsored a series of about sixty lectures by well-qualified teachers, practitioners and Qigong masters. These lectures were held in Palo Alto, San Francisco State University, and University of California, San Francisco. The Qigong Institute also sponsored the Scientific Forum that consisted of about twelve scientists who explored potential scientific studies of Qigong and reviewed those that had been published. Dr. Sancier published 27 scientific papers on Qigong. The Qigong Institute’s income derives from membership and donations. It is operated exclusively by a volunteer staff. To donate, become a member of the Qigong Institute or see the Qigong Institute Donation Program for how you can help. On a personal note, Dr. Sancier studied Qigong with many teachers and developed a routine that encompassed what he learned. In his later years he felt convinced that he should practice qigong with more dedication for his health. In 2008 Dr Sancier retired from active participation in the Qigong Institute. Tom Rogers became President and CEO while Francesco Garripoli moved to Chairman of the Board. Sancier was the first recipient of the National Qigong Association Lifetime Achievement Award and received the Meritorious Activity Prize from the International Society of LIfe Information Science (ISLIS). World Tai Chi and QIgong Day 2012 was dedicated to Dr. Sancier for his contribution to global health through the founding of the Qigong Institute and creation of the Qigong and Energy Medicine Database™. 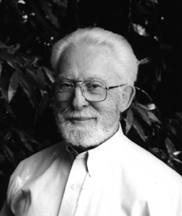 Dr. Sancier passed away at age 93 in 2013.